100% The name gives it away. Cotton is first spun before knitted into fabric, it generally will create a more durable, softer fabric. Making it an ideal choice for T-Shirts. 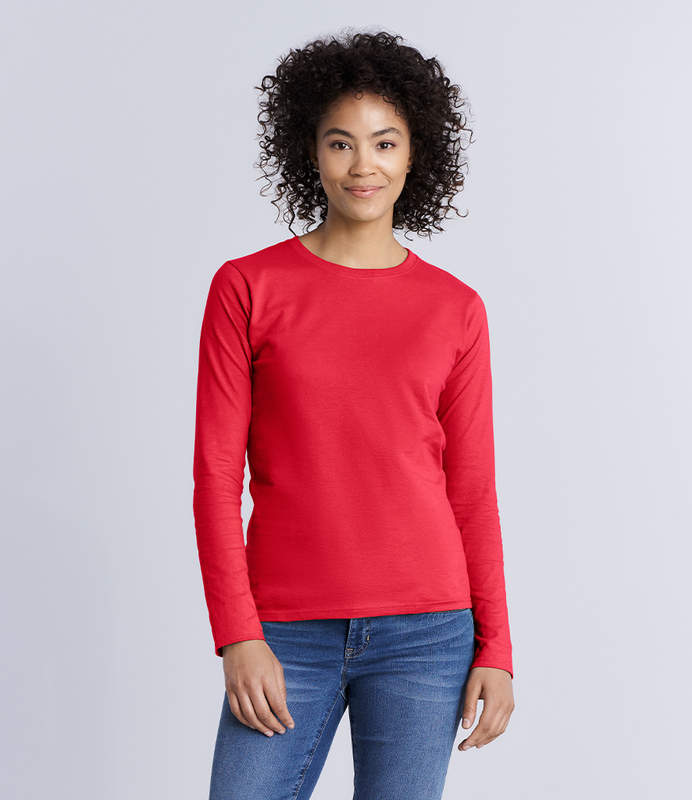 ">ringspun cotton fitted ladies Long Sleeve T-Shirt. Narrow 1/2 inch neck rib. Side seems and taped neck and hemmed sleeves. Material: 100% The name gives it away. Cotton is first spun before knitted into fabric, it generally will create a more durable, softer fabric. Making it an ideal choice for T-Shirts.